Historically, Autodesk also probably took way too long to sort out the software’s the Survey functional mechanics. This simply isn’t the case for all the reasonably current versions of Civil 3D.To date some of the published on-line Civil 3D help might be technically correct but is pretty incomprehensible to many. The Survey Query help is a typical example. So is Survey in Civil 3D a strange, red-haired stepchild? Certainly not. Survey in Civil 3D is data centric as it should be. It is able to deal with that data in complex and demanding ways we never could do in the old days. Survey in Civil 3D is a much richer and flexible editing and publishing environment as well. From my perspective, if you are a design civil engineering firm that uses Civil 3D, you should employ Survey in Civil 3D all the time. Why? It works and it is way better than the alternative of stupid COGO points in a drawing. I shudder when I see demo videos of that. That’s the good news. The bad news is Survey is more demanding about you having all the many parts and pieces systematically working together. There are a ton of Styles, Sets, and other resources that must work together to produce a robust, flexible, and easy to use Civil 3D Survey working production environment. Survey in Civil 3D is tough to learn while you are forced to create from scratch all of these mission critical resources. Hence the Framework for Civil 3D is popular among Surveyors and survey groups. With the Framework and the included powerful, customizing Spreadsheet Tools for all the parts. These include Codes, Description Keys Sets, Figure Prefix Db’s, and Styles galore. You can easily change the resource details here and there as you see fit and/or as demanded by even multiple customers with different requirements. The Framework’s built-in set of matched and integrated Survey Codes literally numbers in the thousands. These are real-world, field-tested resources not fake news or marketing spin. The odds are really good what you use today is already in there. Talk about crazy capabilities – What if you could easily translate different coding systems from different field crews? Scary stuff that Framework for Civil 3D customers do. I hope the design civil engineers pay attention. Interoperability issues inhale man-hours. Folks do ask how to structure a Survey in Civil 3D project. You can arm wrestle Civil 3D into a single drawing approach, but you are fighting how Civil 3D is designed to work. All the vital QAQC and edit and validation work is much more difficult to perform with a single drawing mindset. The key point is there is really no such thing as a Civil 3D drawing outside of a project context. Yes. That is true even for a simple site survey. Civil 3D functionality and production use is all about Inside the Civil 3D Data Shortcut Powers and A Civil 3D Managed Dynamic Model Works. The Framework for Civil 3D always ships with example Projects for a host of reasons. These include multiple Survey raw data sets and classic Civil 3D workflow results in multiple forms. Civil 3D is pretty flexible about how you structure a project. You can review the many ways to structure Data Shortcuts in Civil 3D on our Data Shortcuts Explained page. 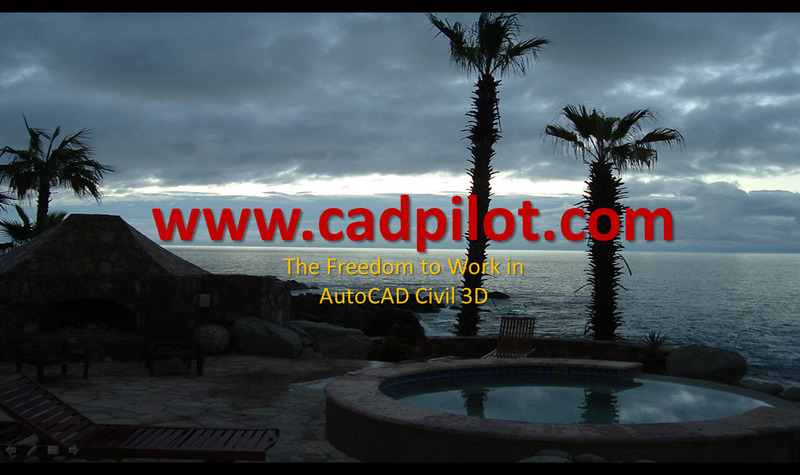 The substantive mechanics intentionally have not changed for many releases of AutoCAD Civil 3D. A Survey Db is just a specialized form of Data Shortcut with arguably much better data management tools attached. Why I started this post with a Survey Query Essentials video above. Our basic Survey project structure needs to cope with the QAQC, edit, and validation production work inside Civil 3D but also the most demanding publication requirements. Why we separate the data to achieve more flexible, published results is important. What this means in practice is you want a Civil 3D Project Template (a replicatable folder structure) that includes pre-built drawings that are renamed at project start and/or perhaps at key project benchmarks. The prototype drawings all employ the stock template or Reference (2017+) that resource. A Survey Edit drawing that is usually empty but may hold the current QAQC issues that are a work in progress. Windows shortcut links to key shared resources like Survey Settings, Query and Point Group Libraries, and Style Library resources. The key issue: if the Survey Db data is corrected the drawings should reflect the changes. The working Survey Edit drawings for all the parts do change STATE to become Publication Drawings or drawings that produce the deliverable publications. In general, I consider that all publication drawings must be replaced from working Survey Edit drawings if errors and omissions must be fixed. You should clearly identify what the benchmark is for your firm. The Point Labels drawings (more than one may be required or to simplify matters) are typically the most dicey to maintain because they tend to include the most Point Label Overrides. In practice there is always trade-off between the number of Point Groups you have to maintain versus the number of Point Label Overrides to maintain to achieve the publication result the project requires. See the in-depth Deliverables course for some considerations. You might want to check out the Preview Survey Setups and Figures video since the beginning of that video reviews a typical Survey in Civil 3D Project Template in action with live data. The video page contains links to the initial post and other Survey related posts. Yep. There's a bunch of them. Civil 3D methods and tools to strip man-hours from project work. Most posts include videos.